창업 170년의 된장 간장 양조원으로, 된장 간장의 판매를 하고 있으며, 히나고텐에는 9개의 방에 약 3,800구의 인형과 약 4,000개의 도구를 전시하고 있습니다. 메밀 만주, 텐료 모나카, 히타 양갱 등 지역 특산품 과자를 제조 판매하고 있습니다. 마메다마치에 오셨을 땐, 꼭 들러 주세요. 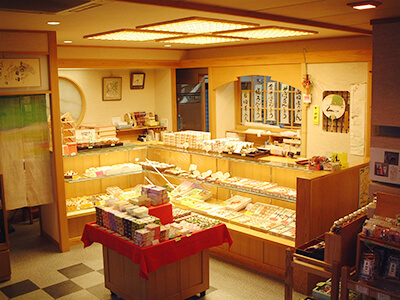 Machidori Shogetsu-Dou produces and sells local specialty sweets, such as Soba Manju (buckwheat cake), Tenryo Monaka (wafer cakes filled with red bean paste), and Hita Yokan (red-bean jelly). 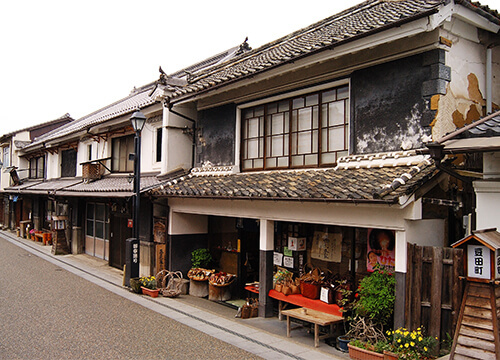 Why not visit the confectionery while strolling around Mameda-machi? 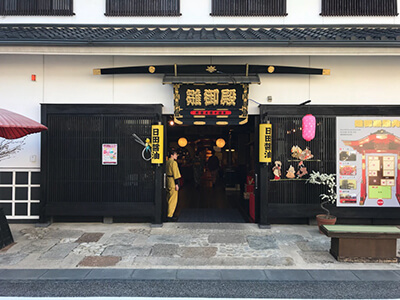 Asahi Manju is a long-established Japanese confectionery dating back to the Edo period, based in Mameda-machi, a district that shows what Hita as a tenryo (territory under direct shogunal control) looked like at that time. 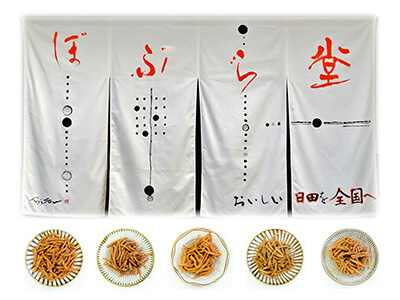 The confectionery’s popular manju (red-bean cakes) include its original Chestnut Soba Manju, and Kangien and Shufuan inspired by the Edo-period private school Kangien, whose remains, including the Shufuan building, are designated as Japan Heritage. 직할령 히타의 거리 풍경이 남아 있는 마메다마치에서 에도시대부터 이어온 화과자의 노포. 원조 “밤 메밀 만주”, 일본 유산에 인정된 “간기엔(咸宜園)”을 회상하며 만든 “간기엔”과 “슈후안(秋風庵)”이 인기입니다. 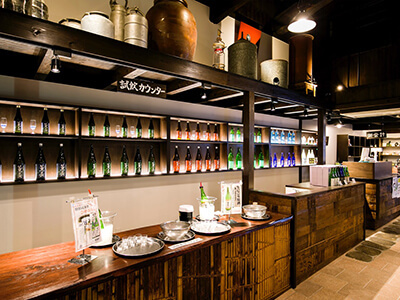 Hita Shoyu, with a history of more than 170 years, is a brewery and store that sells miso and soy sauce. 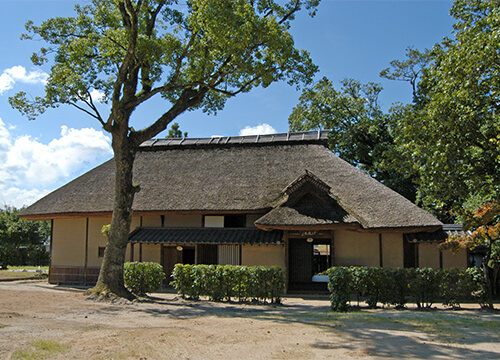 Its Hinagoten building displays about 3,800 hina dolls and about 4,000 accessories in nine rooms. 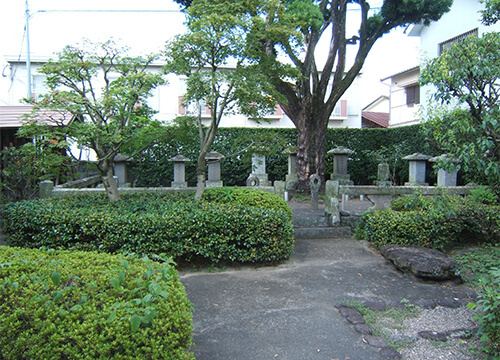 메이지 24년(1891년) 창업한 양갱 전문점. 옛날 그대로의 컷팅하지 않은 양갱은 날이 지나면 표면이 하얗게 당화하여 굳는 것이 특징. 굳지 않고 오래 보존할 수 있는 팩 포장 양갱도 있다. 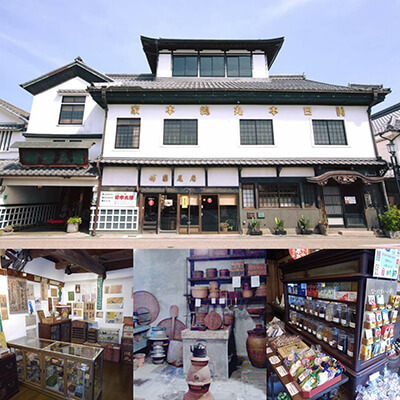 Founded in 1891, Akashi Hita Yokan Honpo is a confectionery specializing in yokan (red-bean jelly). 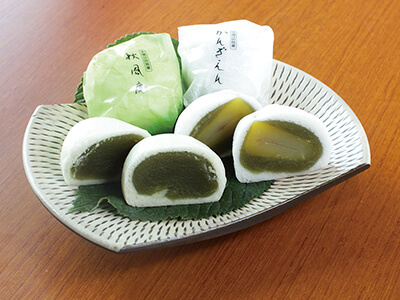 Wide block-shaped traditional-style yokan is unique in that its surface is increasingly covered with a white, hard layer of sugar as time passes. 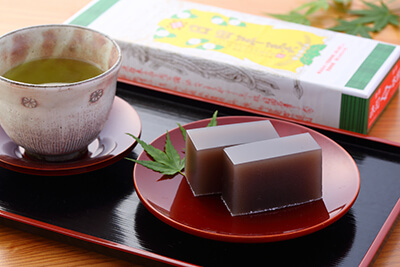 Packed long-life yokan bars, whose surfaces do not harden, are also available. 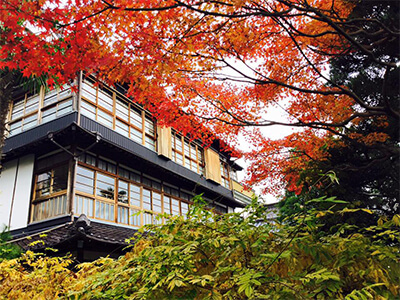 Copyright © 2018 教育遺産世界遺産登録推進協議会 All Right Reserved.